It’s mid-summer afternoon, and you are stopped in traffic in your car. But your palms are not sweaty and nor is your shirt. There is no sweat dripping from your eyebrows either, and you are thankful that someone had thought of installing putting an air conditioning system in a car. Automotive air conditioning is nearly universal today, and almost all passenger cars have factory installed air-conditioning. It’s also been with us longer than you might think. Packard invented automotive AC all the way back in 1939, and in 1940 was the first car company to offer factory-installed air conditioning. Of course, this early system didn’t have a thermostat, but it was better than not having anything at all. The idea caught on, though, and by 1969, more than half of all new cars were sold with air conditioning built in. That’s not including the aftermarket AC units that could be installed during the first heat wave of the year. The air conditioning system of your car looks complicated, but it is really quite easy to understand. Once you understand how the system delivers the cold air you will be better informed when problems occur and how to fix them or understand more on what a garage is telling you when having it repaired. 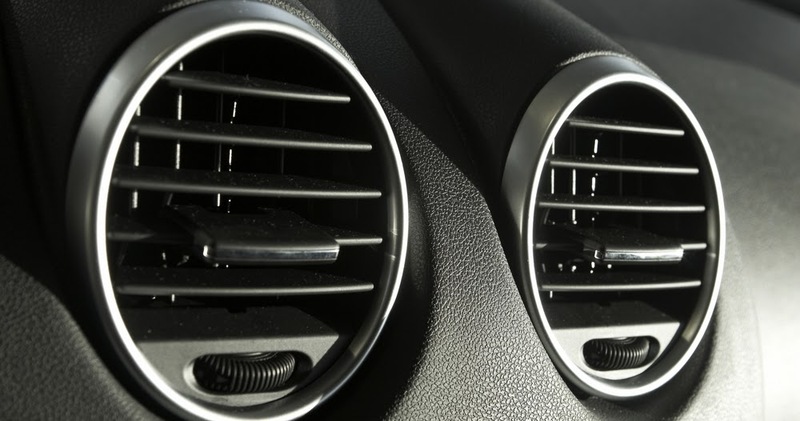 So let’s delve deeper into the subject and understand how the air conditioning system works for the car. Air conditioning system and engine cooling system influence each other even though they are two different systems. Air conditioning system puts a more load on the engine cooling system and hence the coolant temperature of the engine coolant rises. The additives contained in the coolant do not only protects against frost, but also against engine overheating. Coolant composition increases the boiling point of the medium to above 120 °C. This is very important during summer season when air conditioning system and cooling system are pressurized by the high temperatures and long trips. It will be very good to therefore it is recommended to check the engine coolant levels also during the air conditioning service. The climate in the vehicle needs to be controlled, and for controlling it a refrigerant circuit as well as a coolant circuit are is required. This is achieved by a mixture of cold and warm air allows the generation of the required climatic conditions which are completely independent from the outer conditions. As a result of this Air conditioning system is an important factor for safety and driving comfort. Refrigerant circuit are connected by tubes and / or aluminum pipes and thus form a closed system. Refrigerants and refrigerant oil circulate in the system, driven by the compressor. The section between the compressor and the expansion valve is the high pressure side (yellow/red). The section between the expansion valve and the compressor is the low pressure side (blue). The temperature of the compressor is significantly increased when the gaseous refrigerant is compressed by the compressor under high pressure through the condenser. As result heat is removed from refrigerant and changes its state to from gaseous to liquid because of condensation. Contaminants and air from the liquid refrigerant, humidity are removed by the filter dryer which ensures system effectiveness and protects the components from damaged caused by contaminants. The air conditioning compressor is usually driven by the engine via a belt or ribbed V-belt. The compressor compresses and transports the refrigerant in the system. There are different designs available. The compressor can be dimensioned depending on the size of the system. The compressor is filled with special oil to provide lubrication. Some of the oil circulates through the air conditioning system with the refrigerant. The refrigerant is sucked in as a gas under low pressure and low temperature from the evaporator; it is then compressed and forwarded to the condenser as a gas under high temperature and high pressure. Does the compressor switch on, is the connector plug securely in place, is there voltage? Check that the drive belt is positioned correctly, undamaged, and that there is tension. Check visually for loss of sealing. Check that refrigerant tubes are securely in place. Compare the pressures on the high and low pressure sides. Read out the fault memory. The condenser is needed in order to cool the refrigerant that is heated up by the compression in the compressor. The hot refrigerant gas flows into the condenser and transfers heat to the surroundings via the pipe and fins. As it cools down, the state of the refrigerant changes again from gaseous to liquid. The hot refrigerant gas flows on top into the condenser and transfers heat to the surroundings via the pipe and fins. Due to cooling down the refrigerant exits the condenser at the lower connection in liquid state. The filter elements of the air conditioning system are either referred to as filter dryers or accumulators, depending on the type of system. The task of the filter dryer is to remove impurities from the refrigerant and to dehumidify it. The liquid refrigerant enters the filter dryer, flows through a hygroscopic drying medium and leaves the filter dryer again as a liquid. The upper part of the filter dryer serves as a compensation chamber; at the same time, the lower part serves as refrigerant storage in order to compensate fluctuations in pressure in the system. Depending on its design, the filter dryer can only remove a certain amount of humidity – then the drying medium is saturated and no longer in a position to absorb further humidity. The expansion valve represents the point of separation between the high pressure and low pressure sections in the refrigerant circuit. It is installed in upstream of the evaporator. To achieve optimum cooling capacity in the evaporator, the refrigerant flow is controlled by the expansion valve depending on the temperature. As a result, complete evaporation of the liquid refrigerant is ensured and gaseous refrigerant arrives at the compressor only. Expansion valves may differ in their design. The liquid refrigerant – arriving through the filter dryer from the condenser – flows through the expansion valve and is injected into the evaporator. The evaporating refrigerant releases evaporation cold. This causes the temperature to drop. To achieve optimum cooling capacity in the evaporator, the refrigerant flow is controlled by the expansion valve depending on the temperature. At the end of the evaporator, the refrigerant is transported through the expansion valve to the compressor. If the refrigerant temperature increases at the end of the evaporator, it expands in the expansion valve. This results in an increase of the refrigerant flow (injection quantity) to the evaporator. If the refrigerant temperature lowers at the end of the evaporator, the volume in the expansion valve decreases. As a result, the expansion valve reduces the refrigerant flow to the evaporator. The evaporator is used to exchange heat between the ambient air and the refrigerant in the air conditioning system. The expansion valve and/or orifice tube injects the highly pressurized liquid refrigerant into the evaporator. The refrigerant expands. The resulting evaporation cold is discharged to the environment via the large surface of the evaporator and routed to the vehicle interior through the ventilation airflow. Pressure switches are responsible for protecting the air conditioning system against damage caused by too high or too low pressures. There are low pressure switches, high pressure switches and trinary switches. The trinary switch comprises the high pressure switch and the low pressure switch and an additional switch contact for the condenser fan. The pressure switch (pressure monitor) is normally installed on the high pressure side of the air conditioning system. In the case that the pressure is too high (approx. 26-33 bar) it switches the power supply to the compressor clutch off. If the pressure is reduced (approx. 5 bar), its switches the power supply on again. If the pressure is too low (approx. 2 bar), the power supply is interrupted as well in order to avoid compressor damage due to insufficient lubrication. The third switch contact in the trinary switch controls the electrical condenser fan in order to ensure optimum refrigeration condensation in the condenser. The ventilation fan is used to ventilate the passenger car. It ensures clear visibility and a pleasant interior climate. Major pre-requisites for safe and comfortable driving. Failure of the fan results in an uncomfortable interior climate, which has a negative impact on the driver’s concentration. This represents a significant reduction in safety. Lack of ventilation can also cause the windshield to mist up. Vision limited by misted up windows is a major safety risk. Fittings and tubes connect the single components carrying refrigerant. The fittings are pressed onto the tube end using a special tool. This tool is available in a variety of designs. The condenser fan helps to ensure the optimal liquefaction of the refrigerant no matter what operating state the vehicle is in. It is mounted upstream or downstream of the condenser and/or engine cooling system as an additional or combination fan. Condenser fans may fail due to electrical or mechanical damage. As a result, the refrigerant is not sufficiently. A modern thermal management system consists of engine cooling and air conditioning components. Since we have explained the air conditioning components let us also understand when we need to check our car air conditioning system and when to go for servicing it. Air conditioning Check and Air conditioning service can compared to small and large inspection. Once in every 12 months air conditioning check should be done because the interior filters accumulate dust & dust particles out of the air before it sends clean and cooled air into the interior. Like other filters, the absorption capacity of the filter is limited. Every air conditioning system consists of an evaporator. Condensation forms in its fins. Over a period of time bacteria, fungi and other micro – organisms settle here. Hence for this reason the evaporator must be disinfected regularly. Air conditioning service should be done every 2 years because even from a new air conditioning system 10% of the refrigerant escapes per year. It reduces cooling capacity and damages can creep up on the compressor. The refrigerant is freed from humidity and contaminants by the filter dryer. This Article intends to explain the basic about Air Conditioning System. We recommend you to take your vehicle to nearest garage for the issues in air conditioning system of your car.